There have been a series of antiquities discoveries in Aswan in the last few weeks, officials have said. 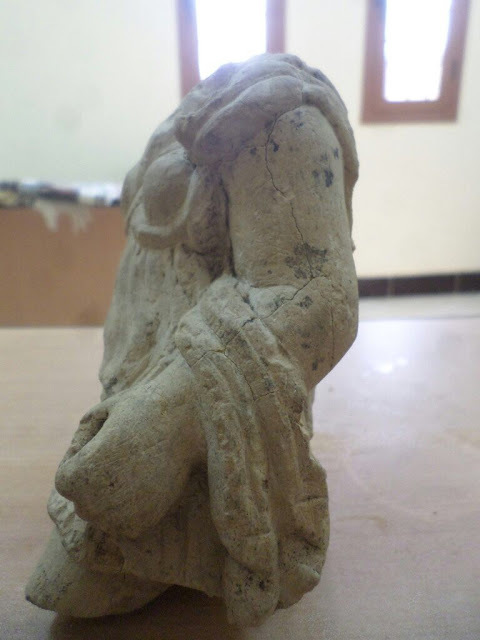 The Swedish-Egyptian mission working in the Gebal El-Silsila area has uncovered four intact burials of children, while the Austrian mission at Kom Ombo’s archaeological hill discovered a large segment of a First Intermediate Period cemetery, and the Egyptian-Swiss mission working in the old town of Aswan has unearthed a small incomplete statue that probably depicts Greek goddess Artemis. 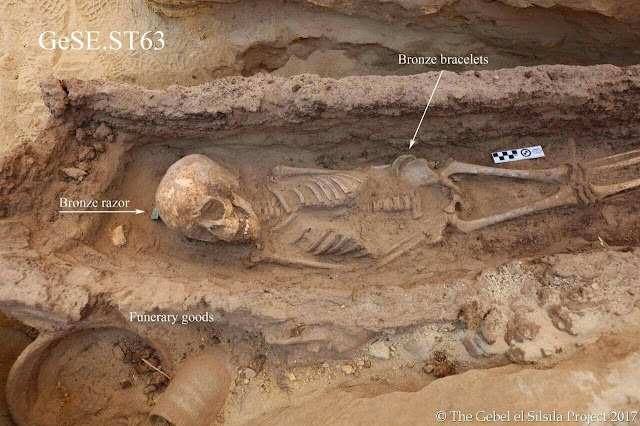 Mostafa Waziri, secretary-general of the Supreme Council of Antiquities, told Ahram Online that the four child burials date to the 18th dynasty (549/1550 BC to 1292 BC.). They consist of a rock-hewn grave for a child between two and three years old; the mummy still retains its linen wrapping and is surrounded with organic material from the remains of the wooden coffin. The second burial, he went on, belongs to another child aged between six and nine years old, who was buried inside a wooden coffin, while the third burial is of a child between five and eight. Both of these graves contain funerary furniture, including amulets and a set of pottery. The fourth burial is also of a child between the age of five and eight. 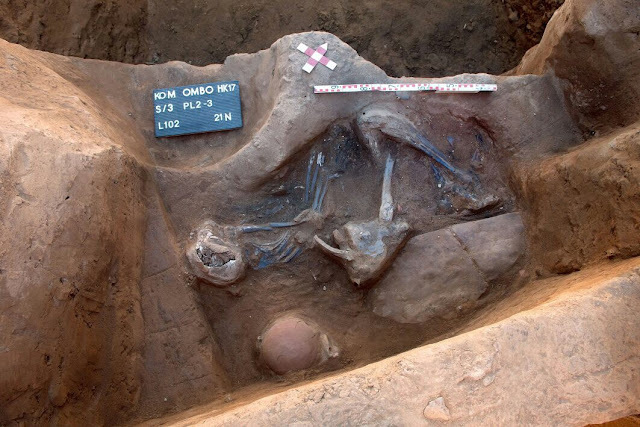 “The new burial discoveries are shedding more light on the burial customs used in the Thutmosid period as well as the social, economic and religious life of people during that period,” Maria Nilsson, head of the Swedish mission said, adding that the mission has succeed during its previous excavation works to uncover many burials but the newly discovered ones have a special significance. More excavations and studies on the site will reveal more about the death rituals conducted in this site during the period, she said. The Egyptian-Austrian archaeological mission in Kom Ombo led by Irene Foster uncovered a part of a cemetery from the First Intermediate Period, with a number of mud-brick tombs. 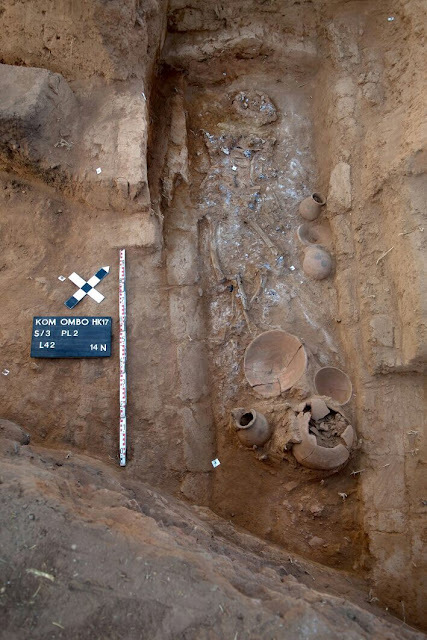 Numerous pottery vessels and grave goods were unearthed. In the ancient town of Aswan, the Egyptian-Swiss mission, headed by Egyptologist Wolfgang Muller, unearthed a statue of a woman that was missing its head, feet and right hand. Abdel Moneim Saeed, general director of Aswan and Nubia Antiquities, said that the statue is carved from limestone and measures 14cm by 9cm in width and the thickness of its bust is 3cm and the lower part is 7cm. A preliminary study on the statue reveals that the dress she wears is similar to that of Artemis, Greek goddess of hunting, procreation, virginity and fertility, combined with the Egyptian goddesses Isis and Bastet. Αναρτήθηκε από mikres-ekdoseis στις 7:17 μ.μ.